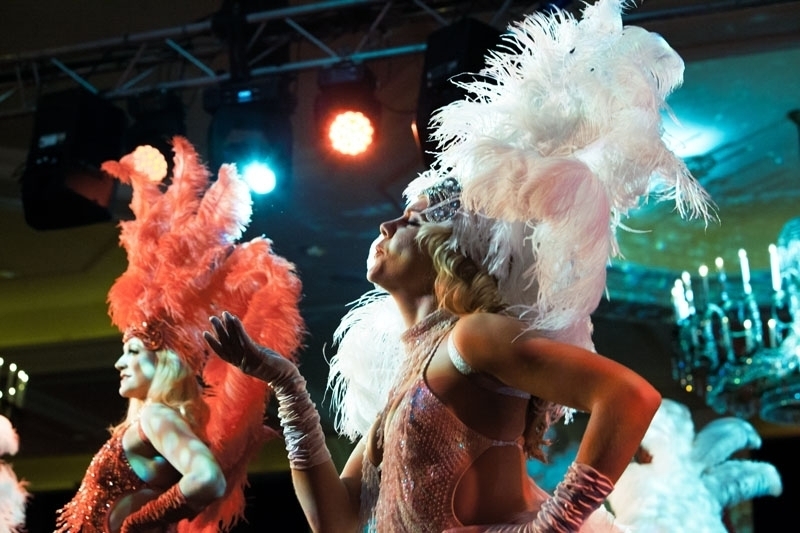 Our fantastic selection of performances will bring the opulence and glamour of traditional Parisian Cabaret to your event. Our dancers can perform a variety of dance routines to give your guests a thrilling evening of entertainment. 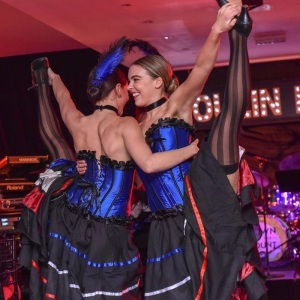 You can choose any number of our Parisian style Cabaret themed performances to fit with your event schedule and budget. 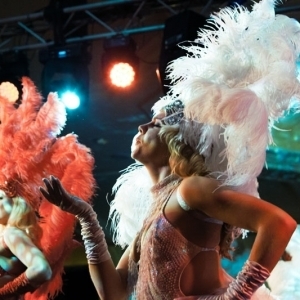 Beautiful showgirls can welcome your guests on arrival and then take to the stage to begin the show with a dramatic and visually spectacular performance. They will then change into some dazzling tailcoat costumes to perform a show-stopping Top Hat and Cane routine that mixes the classic dance style with a dash of cheekiness and personality. 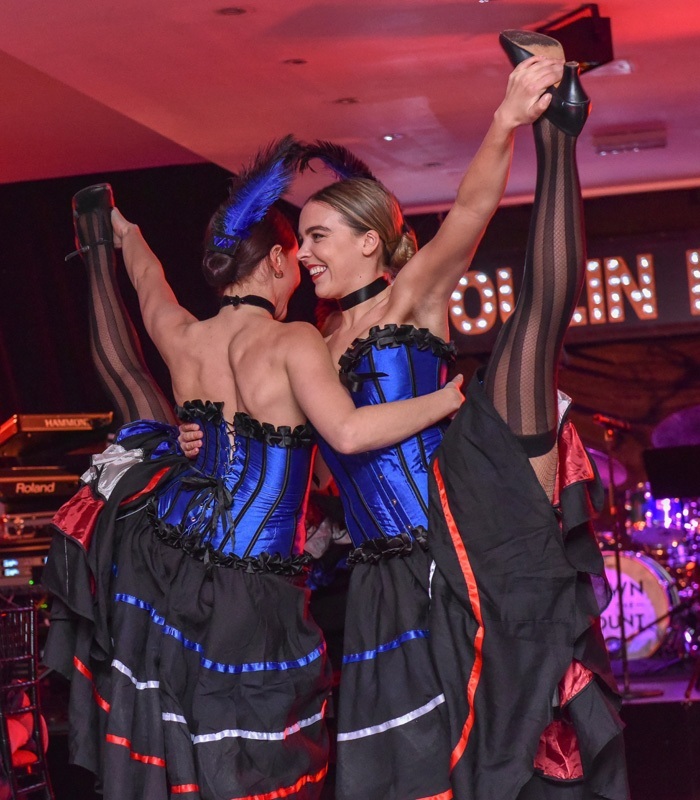 Your guests can also be teased and titilated with a vintage duo fan dance performance and the evening is completed with the grande finale of a high energy Can Can complete with high-kick, jump splits, whooping and cheering. Solo Burlesque performances can be added if you wish to include an element of strip-tease which is very tastefully executed and performed in true vintage style with incredible costumes. We can also enhance the show with some incredible circus performers including hand balancing acts, acrobats and aerialists which completes the eclectic mix of talents seen at the traditional music halls of Paris.